This lovely cottage is in the village of Cwmbach near Aberdare and can sleep two people in one bedroom. 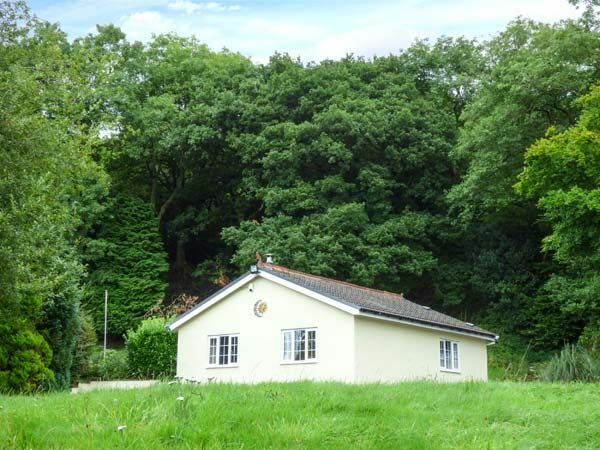 Sunnyside Lodge is a lovely cottage situated in the village of Cwmbach just two miles from Aberdare in South Wales. The cottage can sleep two people in one double bedroom with an en-suite bathroom. Also in the cottage is a kitchen and sitting room with dining area and a woodburner, perfect to cosy up in front of. Outside is off road parking for two cars and a private patio garden with furniture and a hot tub. Sunnyside Lodge is a delightful cottage from which to explore this stunning part of the country. Amenities: Oil central heating with woodburner. Electric oven and hob, microwave, fridge/freezer, washing machine, TV with Freeview, DVD, WiFi. Fuel, power and starter pack for stove inc. in rent. Bed linen and towels inc. in rent. Travel cot and highchair on request. Ample off road parking. Bike storage on request. Private patio garden with furniture and hot tub. Two well-behaved dogs welcome. Sorry, no smoking. Shop and pub 10 mins walk. Town: Cwmbach meaning little valley in Welsh, sits alongside the Aberdare Canal in the Cynon Valley, surrounded by the industrial heritage rich South Wales Valleys. The village lies to the south of the Brecon Beacons National Park and is perfectly situated to explore the fabulous countryside and outdoor activities, from the peaks of Pen-y-fan, the mystical waterfalls and myriad of footpaths crisscrossing the area. There is a railway station in residential village, which enables easy access to day trips in the cosmopolitan city of Cardiff or the traditional seaside resort of Barry Island and onwards further afield to the Gower Peninsula. All ground floor. One double bedroom with en-suite bathroom with bath, shower over, basin and WC. Kitchen. Sitting room with dining area and woodburner. Oil central heating with woodburner. Electric oven and hob, microwave, fridge/freezer, washing machine, TV with Freeview, DVD, WiFi. Fuel, power and starter pack for stove inc. in rent. Bed linen and towels inc. in rent. Travel cot and highchair on request. Ample off road parking. Bike storage on request. Private patio garden with furniture and hot tub. Two well-behaved dogs welcome. Sorry, no smoking. Shop and pub 10 mins walk.